Preheat oven to 250 degrees. Slice the onions and layer them on the bottom of the roasting pan. Liberally salt and pepper the pork and set it on top of the onions. Sprinkle the brown sugar on top of the pork, pour the cola in the pan, and dump the chipotle peppers and the sauce over the top. 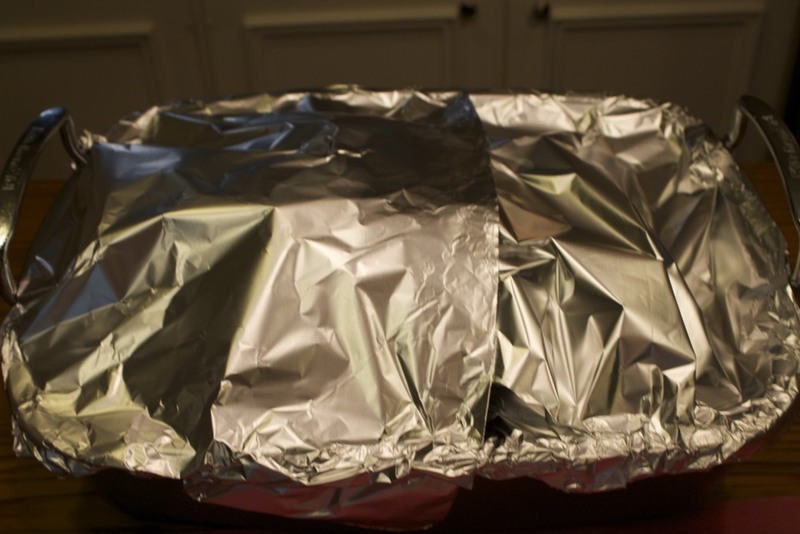 Cover tightly with foil and put in the oven. Cook for at least 6 hours or until a meat thermometer inserted in the middle reaches 185 degrees. 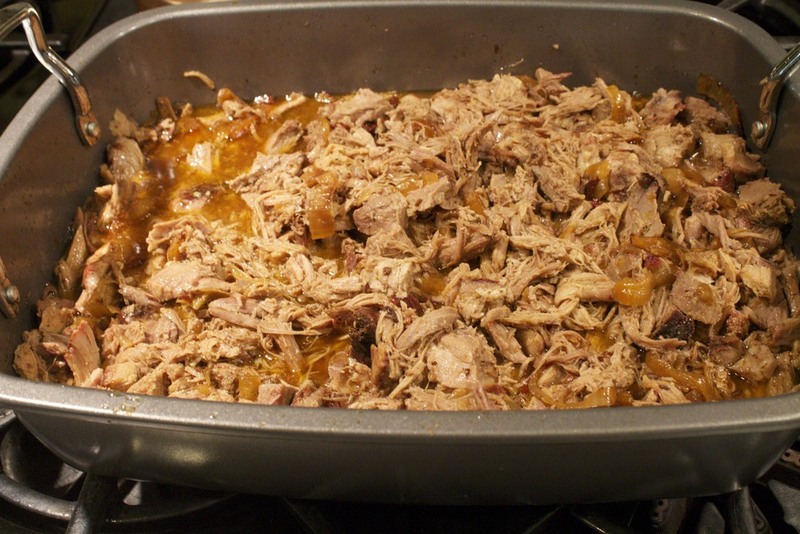 The exact time will vary depending on the size of the pork. When it's fully cooked, remove it from the oven and carefully take off the foil. Using 2 forks, shred the meat. Serve with some of the juice and some of the onions. This is so tender and juicy! You're going to love it! Posted in In The Kitchen and tagged with pulled pork, chipotle, leftovers. May 23, 2013 by Lynn Adams.